This chapter refers to the study of the biosorption of Ni(II) and Cd(II) in packed bed bioreactor by Pseudomonas putida. The conventional treatment methods of Nickel and Cadmium were elaborated and compared with biosorption. The methods for optimization of process conditions for biosorption of Ni(II) and Cd(II) in packed bed bioreactor by Pseudomonas putida were explained. The optimum conditioned were determined to be flow rate of 300 mL/h, initial metal ion concentration of 100 mg/L and bed height of 20 cm with weight of biosorbent of 12 g, and it was found that the Agar immobilized Pseudomonas putida showed maximum percent biosorption and bed saturation occurred at 20 minutes. Optimization results of Ni(II) and Cd(II) by Pseudomonas putida from the Design Expert software were obtained as bed height of 19.93 cm, initial metal ion concentration of 103.85 mg/L, and flow rate of 310.57 mL/h. The percent biosorption of Ni(II) and Cd(II) is 87.2% and 88.2% respectively. The predicted optimized parameters are in agreement with the experimental results. Experiments were carried out at established optimum conditions of bed height of 20.77 cm, flow rate of 309.09 mL/h, and initial metal ion concentration of 109.23 mg/L and results of biosorption of Ni(II) and Cd(II) were reproduced and they were in agreement with the predicted results. Based the experimental results, it was observed that the Pseudomonas putida was the best choice to remove Nickel and Cadmium ions from wastewater in a continuous column system. Toxicity that can last for a long time in nature. Transformation of low toxic heavy metals to more toxic form in certain environmental conditions. Bioaccumulation and bioaugmentation of heavy metals by food chain that could damage normal physiological activity and endanger human life. 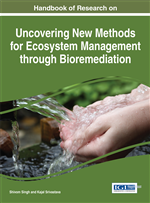 Heavy metals cannot be degraded including biotreatment. Heavy metals are very toxic even at low concentration (1.0-10 mg/L). Heavy metals contamination is becoming a great concern to the government policies and also for having awareness about environment. Several heavy metals removal technologies including chemical precipitation, ion exchange, reverse osmosis, electrodialysis, ultrafiltration and phytoremediation are commonly used in industries (Ahalya, Ramachandra, & Kanamadi, 2003). However, these technologies are becoming uneconomical and unfavourable to remove heavy metals from industrial wastewaters. Description of these treatment technologies are presented in table 1 which also gives the disadvantages associated with each process. Electro Dialysis: It is a membrane process, during which ions are transported through semi permeable membrane, under the influence of an electric potential. The membranes are cation- or anion-selective, which basically means that either positive ions or negative ions will flow through. Nanofiltration: It is a relatively recent membrane filtration process used most often with low total dissolved solids water such as surface water and fresh groundwater, with the purpose of softening (polyvalent cation removal) and removal of disinfection by-product precursors such as natural organic matter and synthetic. Bioreactor: It is a device or system meant to grow cells or tissues the context of cell culture. These devices are being developed for use in tissue engineering or biochemical engineering. Reverse Osmosis: It is a water purification technology that uses a semipermeable membrane to remove larger particles from drinking water. This membrane technology is not considered a proper filtration method. Ultrafiltration: It is a variety of membrane filtration in which forces like pressure or concentration gradients lead to a separation through a semipermeable membrane. Biosorption: It is a property of certain types of inactive, dead, microbial biomass to bind and concentrate heavy metals from even very dilute aqueous solutions. Biomass exhibits this property, acting just as a chemical substance, as an ion exchanger of biological origin.